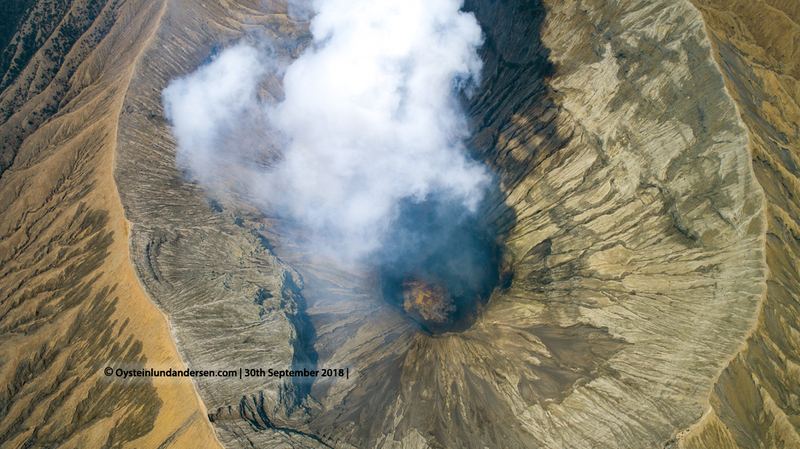 Continous degassing plumes observed 50-400m above the crater. 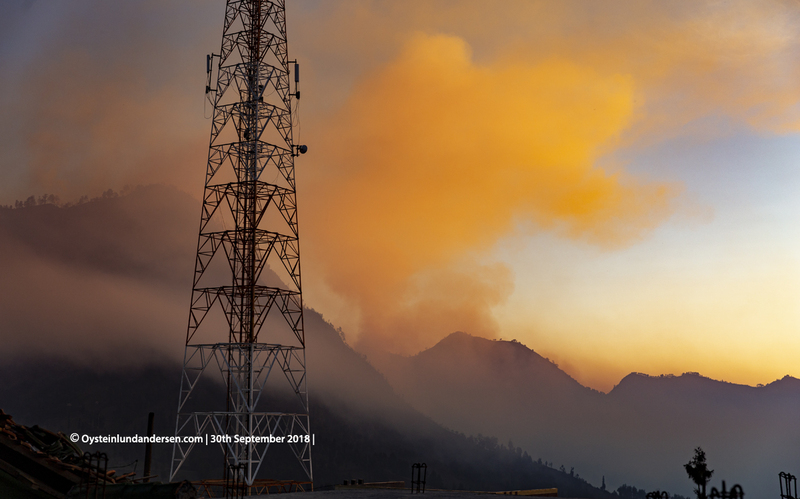 Forest fires was observed in the area, and was not related to any volcanic activity. 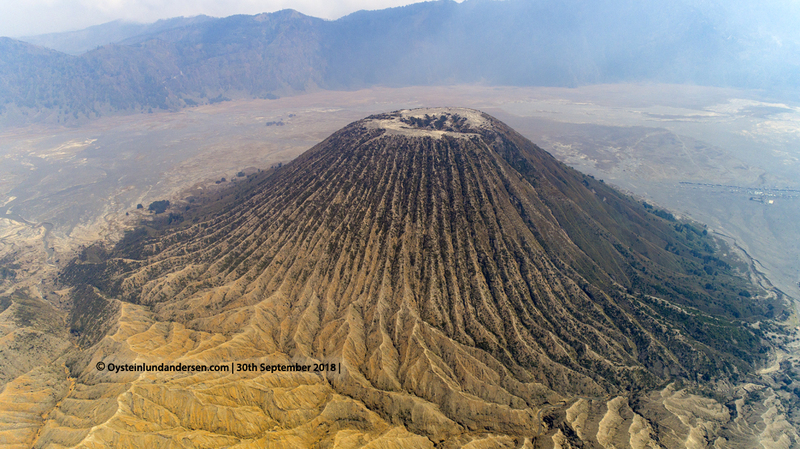 The huge Tengger Massif seen from a distance, from the NorthEast. 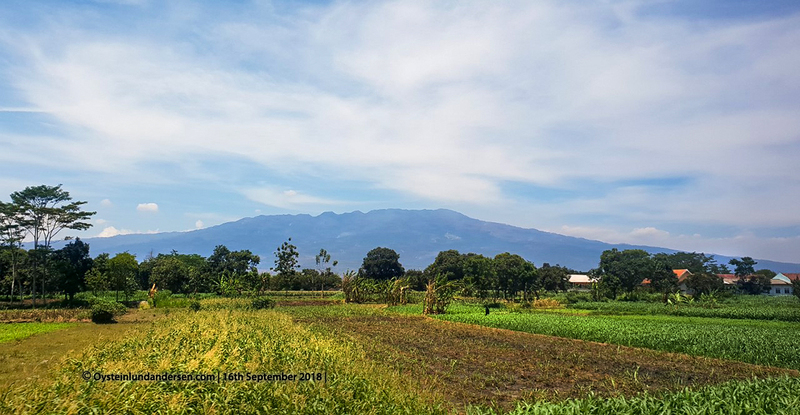 The massif now contains several Calderas, and scientists believe the mountain once was 4500m tall, before a caldera forming eruption occurred. 1. 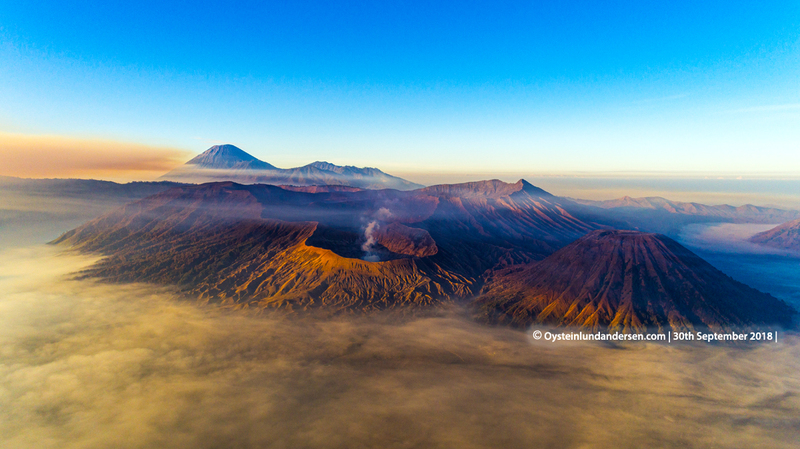 Aerial view of Bromo seen from West. 2. 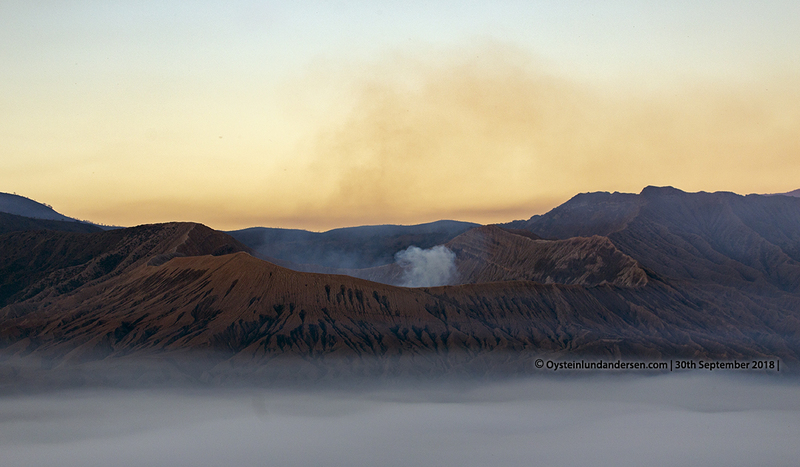 The Tengger Caldera with Semeru volcano in the background. 7. 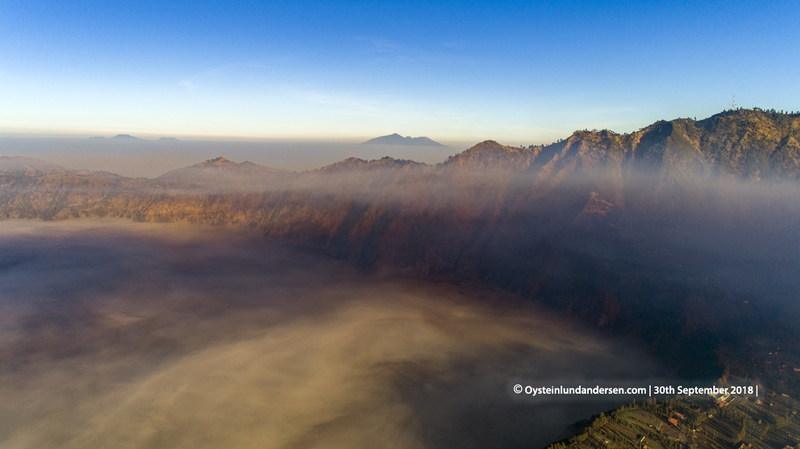 Aerial view of the NW rim of the Tengger Caldera. 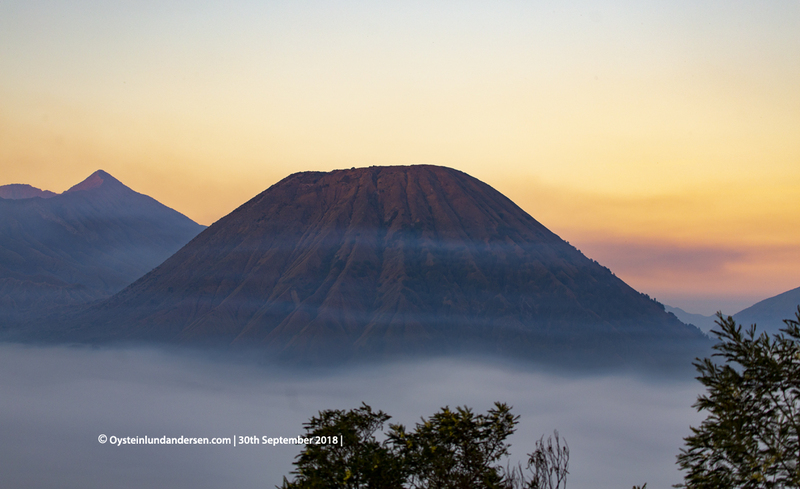 In the background Kawi-Butak volcanic massif (left) and twin-volcanoes of Arjuna-Welirang (right). 10. 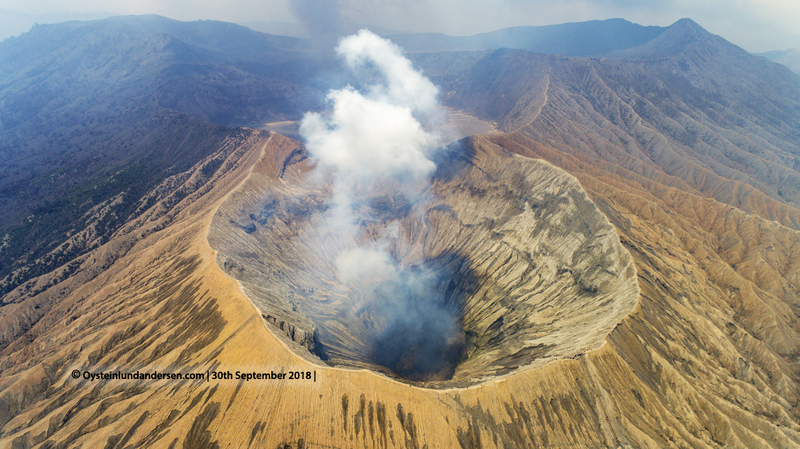 Aerial view of the lesser known crater of Segara Wedi Kidul. 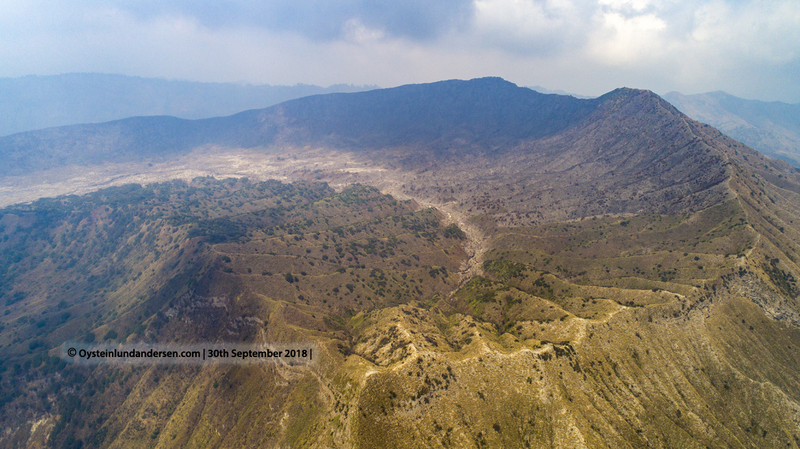 The crater is partly “filled” by material ejected from the younger Segara Wedi Lor crater, that is located to the left in this photo. 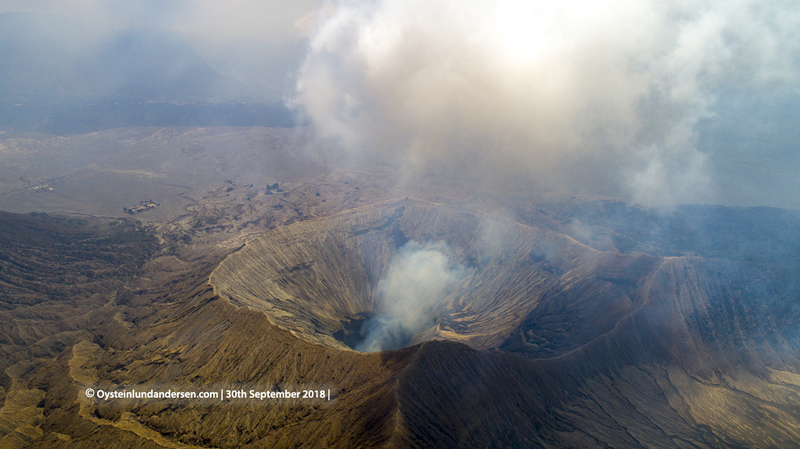 (see photo 11). 11. 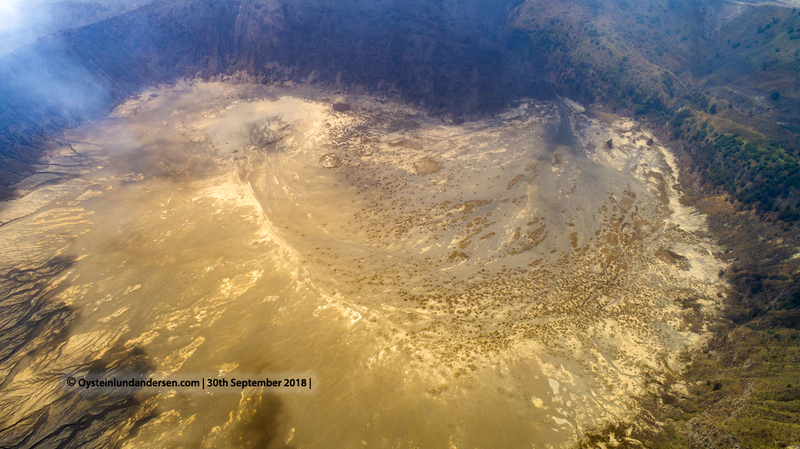 Aerial view of Segero Wedi Lor crater, that is situated behind (south of) Bromo. 12. 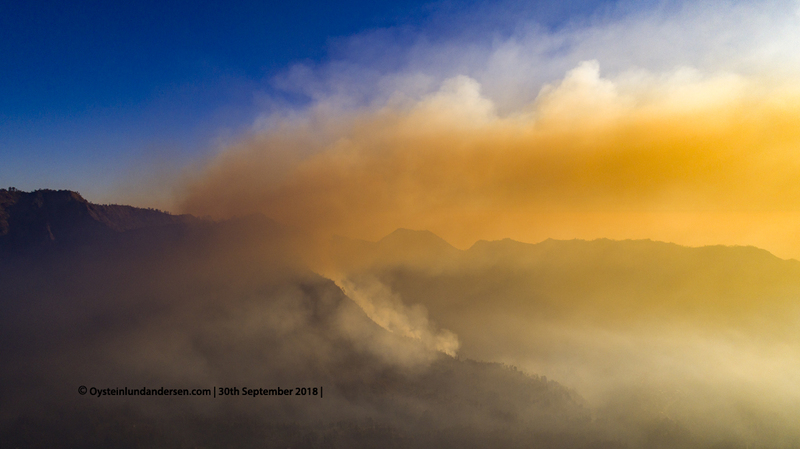 A wildfire rages on the hills of Ngadasari caldera wall. 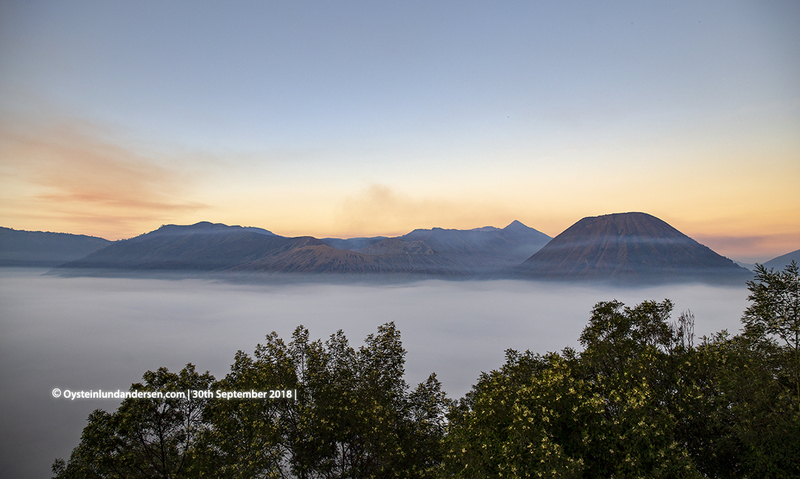 Java this September have been very dry, so many forest fires have occurred troughout the island in recent weeks. 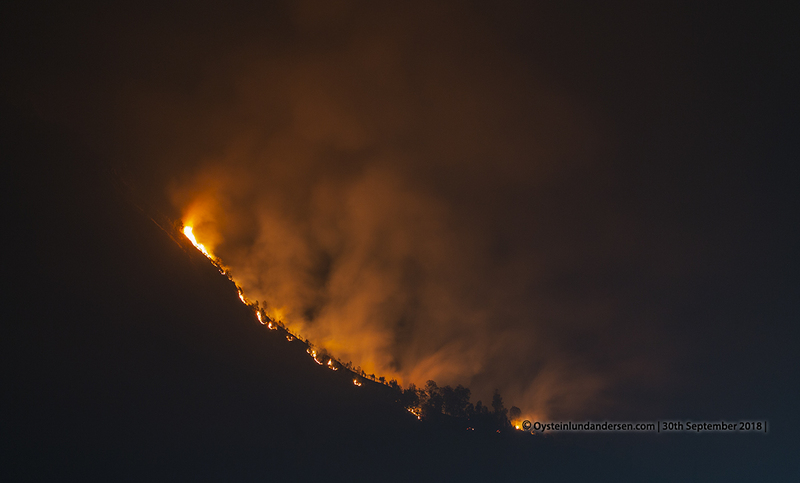 14.Wildfire seen during the night.